Want this item tomorrow, Thursday 25th April? Order within the next 2 hrs 34 mins and choose Next Day Delivery during checkout. 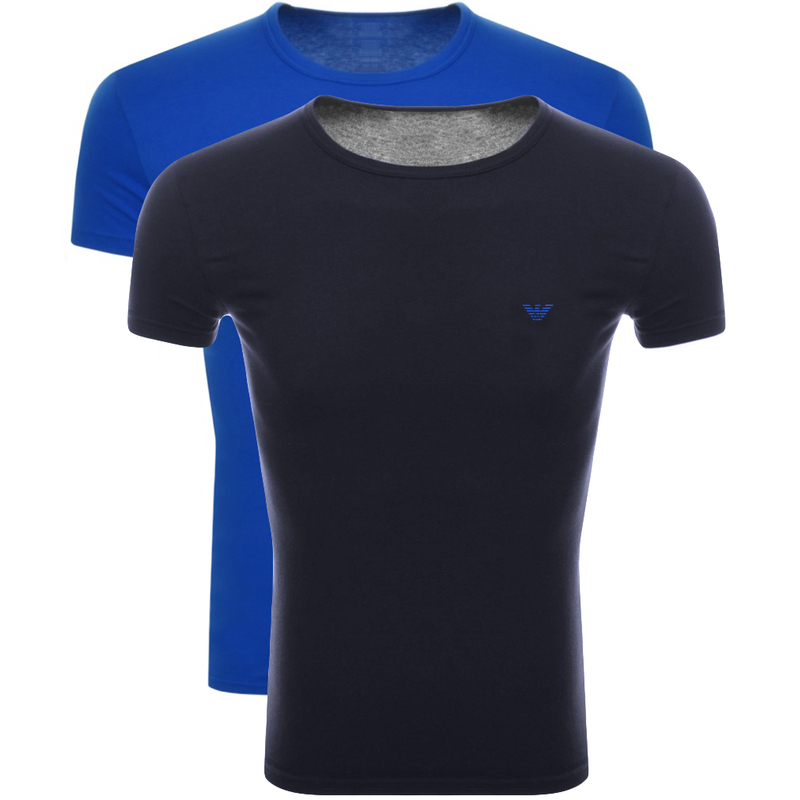 Emporio Armani Two Pack Of Crew Neck T Shirts In Blue And Navy, Regular fit. Two cotton stretch jersey t shirts in blue and navy with a crew neck and short sleeves. The signature Emporio Armani logo is printed and slightly raised on the left of the chest in black on the blue t shirt and blue on the navy t shirt. 95% Cotton And 5% Elastane. Brand New Emporio Armani T Shirts, Boxers And Underwear Live Online.